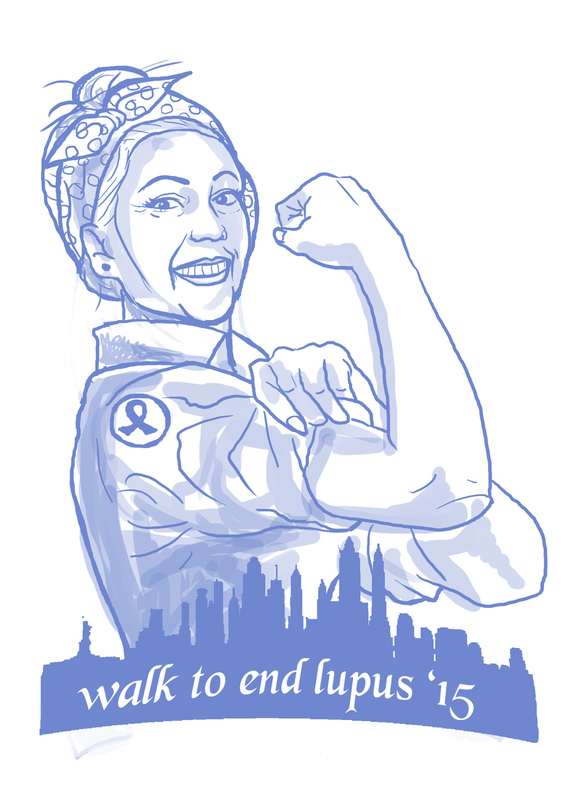 Recently I had the chance to work with my SIL Becky to come up with a TShirt to mark her participation in the Walk To End Lupus in NYC on Saturday May 2nd. 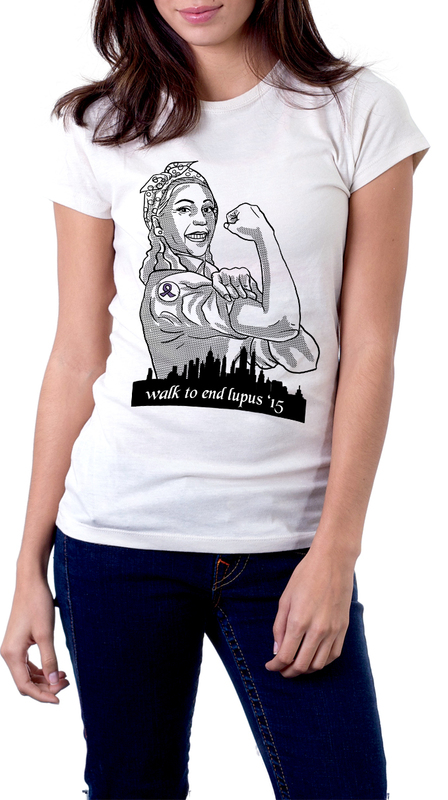 While lupus related nonsense has forced her to sit this one out (THANKS OBAMA), the shirt was still a blast to work on and I hope we get the chance to work on a new one for next year. So firstly we came up with a few different approaches for the image. 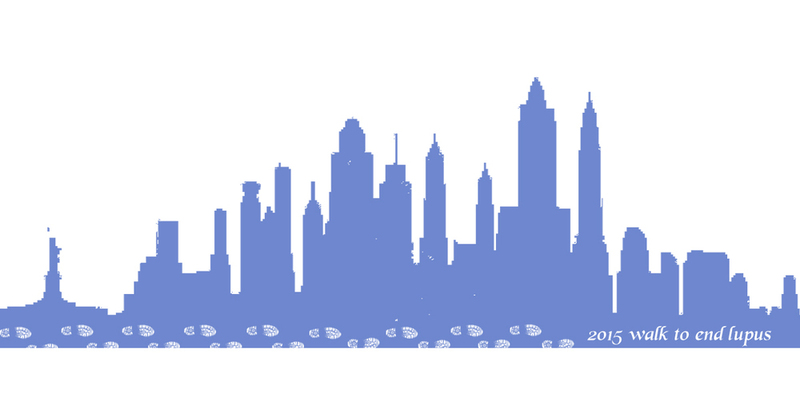 Did we want to do something illustrative, graphic, did we want to go unique design, playoff cultural icons, and other brainstorming like that. We started with these four concepts. 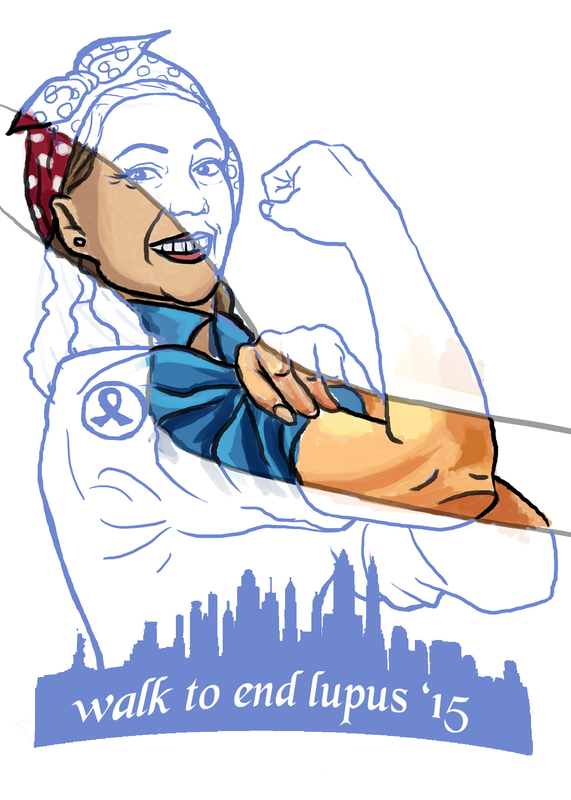 Immediately "Rosie the Riveter" was chosen and developed. Some things we then had to work out included details like "hair up or down, wavy or straight, colour or not, etc. 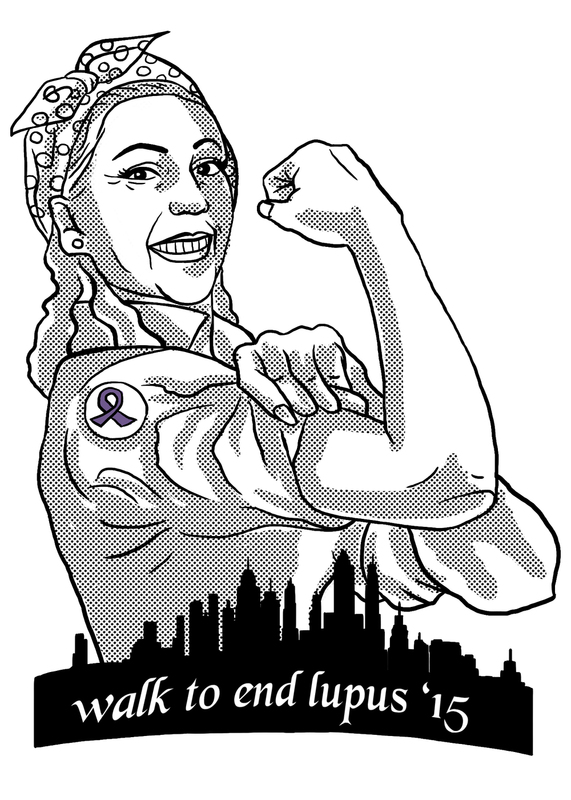 We were constantly visualizing what the final product might look like on a tshirt. Details added and taken away, fonts changed, pops of colour on a B&W design. We also looked into various printing options. 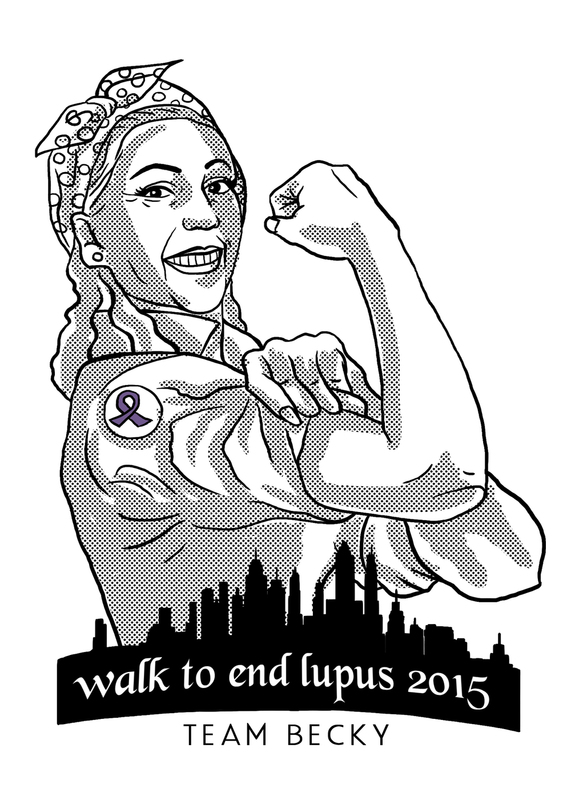 The final illustration was Black & White & Purple to be printed on a white T-Shirt. Once I have a picture of the shirt in action I will be sure to share it here. 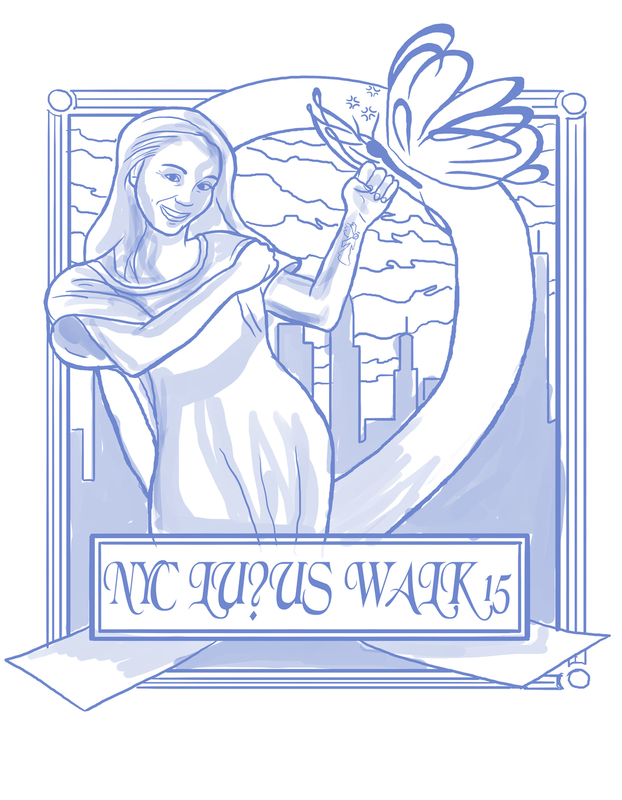 But there you have it; the iterations of the 2015 Team Becky Tee.